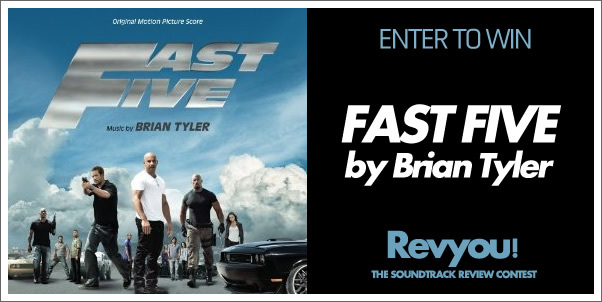 Tracksounds: Last Day to enter to win FAST FIVE by Brian Tyler! Last Day to enter to win FAST FIVE by Brian Tyler! If you were waiting to make a last second entry to win Brian Tyler's excellent score for FAST FIVE, well that second is upon you! Just submit a review for one (or more) of the following titles and you could win!